Last Friday, February 20, a small but devoted group of audiophiles and art fans gathered in Resolution Audio, downstairs neighbor of the new Seattle music store Dissonant Plane, for a very rare and special event. As I mentioned a few weeks ago on this blog, last fall I curated an exhibition of the SMS Portfolios—a treasure trove of editioned works by some of the most famous names in 20th century art—for Davidson Galleries in Seattle. Although most of the works in the portfolios are visual, there are also six audio pieces, which we were not set up to play at the gallery during the exhibition. Through the gracious efforts of Eric Lanzillotta at Dissonant Plane, as well as the guys at Resolution Audio, last weekend we were able to bring the audio portion of the SMS to life. Bruce Nauman. Footsteps. Magnetic tape loop inside folder. For SMS #5, 1968. Despite the implications suggested by the instructions, the audio is not confrontational and the reference to as long as you “can stand” seem to refer more to the listener’s attention span rather than tolerance. Likewise the instruction to “play the tape quite loudly” seems to refer to the fact that the tape is in fact rather quiet. As the title suggests, the loop is simply a recording of footsteps. 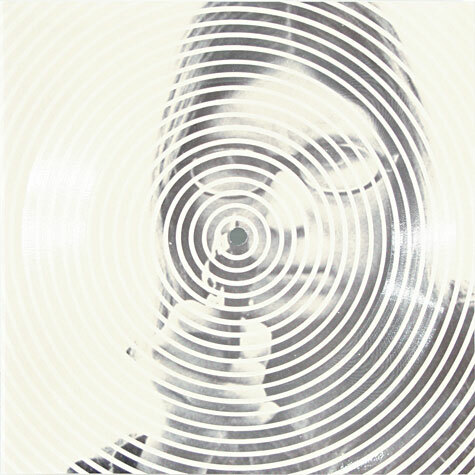 Bernar Venet. Astrophysics. 7-inch record in gatefold for SMS #6, 1968. Diane Wakoski. Magellanic Clouds. Photograph of poet impressed with a recording of the artist reading attached poem. For SMS #5, 1968. 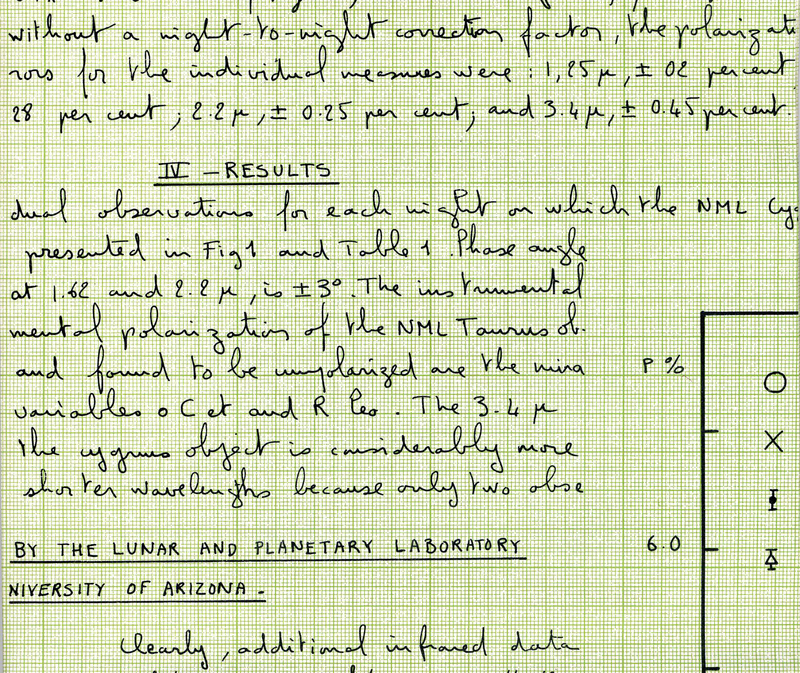 Then we listened to Diane Wakoski‘s Magellanic Clouds, a recording of the poet reading a poem of the same title which is attached to the record in printed form. The entire poem may be read here via Google Books as part of her collection Emerald Ice. For me, listening to this recording was a high point of the program. An inspired flood of biting images, Magellanic Clouds is a shape-shifting, life-affirming manifesto from a narrator who embodies a wild woman archetype. Onetime romantic partner of minimalist composer and SMS music editor La Monte Young, Wakoski went on to have a celebrated career as a prominent American poet after her inclusion in the portfolios. The next piece we listened to may be considered the pièce de résistance of the SMS Portfolios. Marcel Duchamp‘s cover for SMS #2 consists of a seven-minute recording of Duchamp playing contrapetrie, a Surrealist word game that creates meaningful phrases from similar-sounding words. 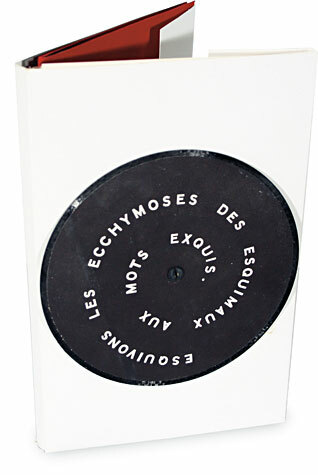 A spiralling example printed on the opposite side of the record, “Esquivons les ecchymoses des Esquimaux aux mots exquis,” (literally “Let us evade the bruises of Eskimos with exquisite words”) provides a visual counterpart reminiscent of Anemic Cinema. While the French audio was met with varying levels of comprehension, the artist’s endearing inclusion of a single English pun, “My niece is cold because my knees are cold” brought laughter to the entire room. Marcel Duchamp. Cover for SMS #2, 1968. Duchamp’s contribution was one of the final achievements of a long and legendary career—he died in October 1968, just six months after his work graced the cover of SMS #2. In many ways, Duchamp’s participation in SMS was a symbolic passing of the torch from the granddaddy of the American avant-garde to a community-oriented crop of new artists who brought the contributions of Dadaism and Surrealism into the psychedelic era. The last two pieces to be presented were each approximately an hour long: La Monte Young‘s Drift Study 4:37:40-5:09:50 PM 5 VIII 68 NYC and a performance of Terry Riley‘s Poppy Nogood’s All Night Flight: The First Ascent from November 1967. Both pieces were conceived as reel-to-reel tapes to be included with the SMS Portfolios, however due to logistics, they were only produced in very small editions for prepaid SMS subscribers. 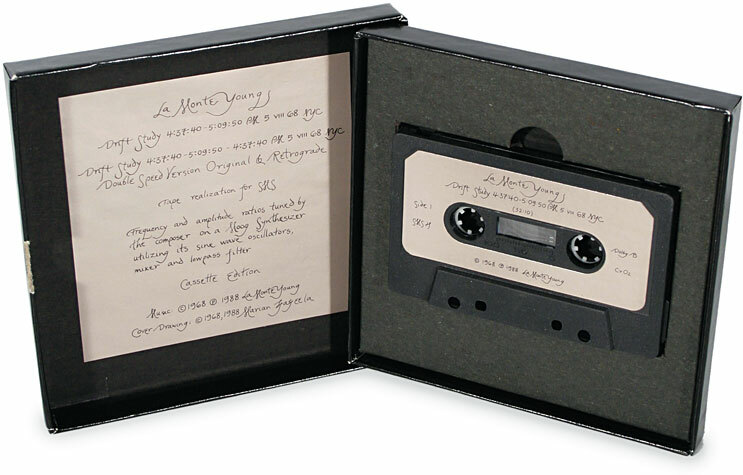 Both pieces were reissued as cassettes by William Copley in collaboration with Reinhold-Brown Gallery and the composers themselves for a 20th Anniversary SMS exhibition in 1988. We listened to the casette reissue of Drift Study and a later CD reissue of Poppy Nogood, both courtesy of Eric Lanzillotta’s private collection. La Monte Young. Drift Study. 1988 reissue of cassette for SMS #4, 1968. [Young’s Drift Study] is neatly divided into two half hour segments. […] Using only a Moog synthesizer whose oscillators are tuned closely together, the work is an exploration of the subtly varied beat frequencies heard as the oscillators drift in and out of phase with each other over time. In this way it is a very static piece whose changes are in the minute details which are best appreciated when played a high volume – a requirement has often stated as necessary for the appreciation of his works in order to fully appreciate their harmonic details. Because the work deals with relatively pure tones, the sound changes quite noticeably depending on the position of one’s head in the listening space. By using the low pass filter on the Moog synthesizer Young focuses on the the more physical lower frequencies creating a meditative and concentrated listening experience. However on the second the tone is doubled being at once more confrontational and engaging. The evening ended with the Terry Riley. Recorded during one of his famous all night concerts from the late ’60s, Poppy Nogood’s All Night Flight: The First Ascent makes ecstatic improvisational use of a tape-delayed soprano saxophone. Terry Riley occupies a very high position in my personal pantheon, so it was wonderful to hear this rare piece for the first time in the context of all the other work from the SMS, as well as a fitting end to an amazing evening. Terry Riley. Poppy Nogood’s All Night Flight: The First Ascent. 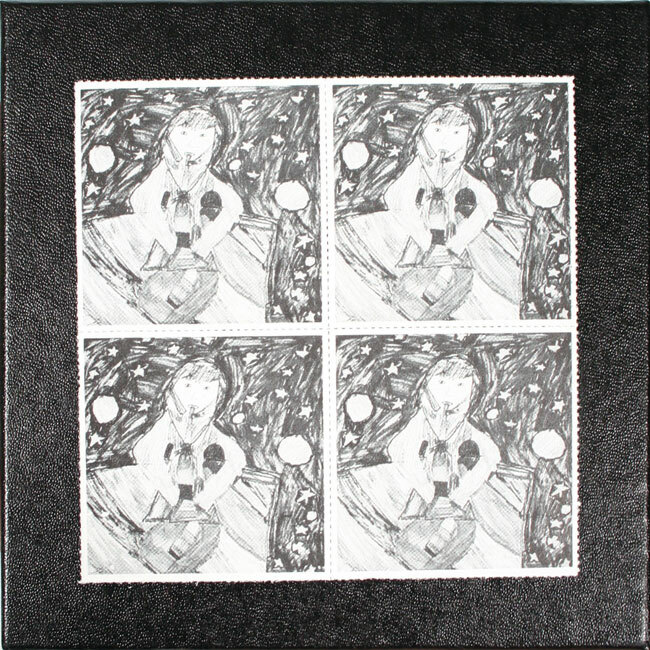 Cover for SMS cassette featuring artwork by Riley’s 9-year-old daughter, Colleen. As a Surrealist, [SMS organizer] William Copley believed in the unity of art and life. With SMS, he helped generate that unity. Nothing like it has appeared in the intervening twenty years. It has now been forty years and indeed, the SMS seems as fresh and relevant today as ever. In our historical moment, Copley’s utopian vision of the integration of art and life is still a challenge that has yet to be fully realized. It is my belief that our little homage to the ghosts of avant-garde past was a transformative reminder of that challenge for everyone present last weekend. Thanks to Eric Lanzillotta, Dissonant Plane, Davidson Galleries, Resolution Audio, and all the friends and new acquaintances who helped bring this truly spectacular experience into being! 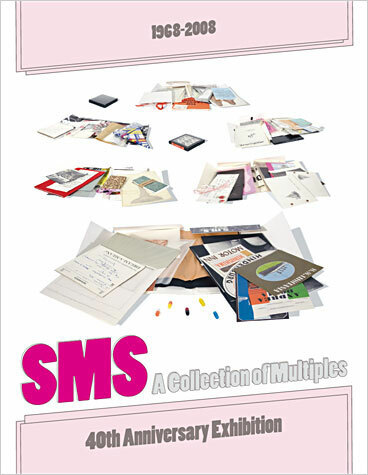 SMS Catalog for Davidson Galleries exhibition, 2008. Design by Shaun Kardinal. All SMS images appear courtesy of Davidson Galleries, Seattle. ~ by emilypothast on February 22, 2009. The Magellanic Clouds poem worked quite well to set the tone for La Monte Young’s drones, which seemed to express in a physical presence what Wakoski expressed in words. Whatever happened to all-night drone listening sessions or long-form improvisations? I think it’s time for a resurgence. Thank you Emily and Eric for making this transcendent experience happen. Coincidentally, the Wakoski and La Monte Young works were the highlights for me. It was an incredible night I am so glad I did not miss. Thanks again.